Would you introduce another organism’s genes into your own body in order to age more slowly? What if the genes could reduce radiation damage? 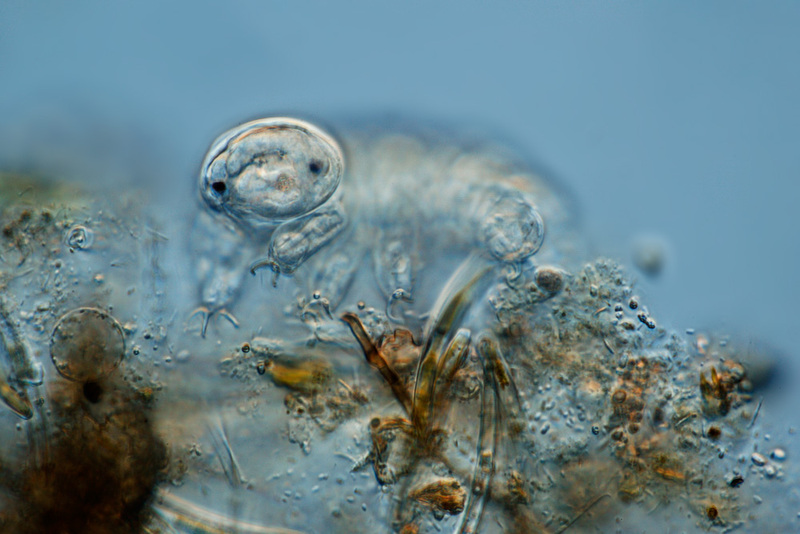 Recently, researchers made a discovery that helps them understand what makes Tardigrades, also known as water bears, so tough (the small aquatic organism can survive drying out and being unshielded in space). Their cells create a large amount of Dsup, a protein that seems to protect DNA from the stress of radiation and dehydration. When entered into human cells, those Dsup was able to suppress X-ray damage to their DNA by 40%. No matter what you think of GMOs or the ethics of humans living longer, the value of this research is obvious. Benefits could fall to people undergoing radiation based treatments or responding to nuclear disasters. Added to plants, such genes could help us grow crops in extreme environments, like the surface of Mars. One small squirm for waterbear, one giant leap for mankind.